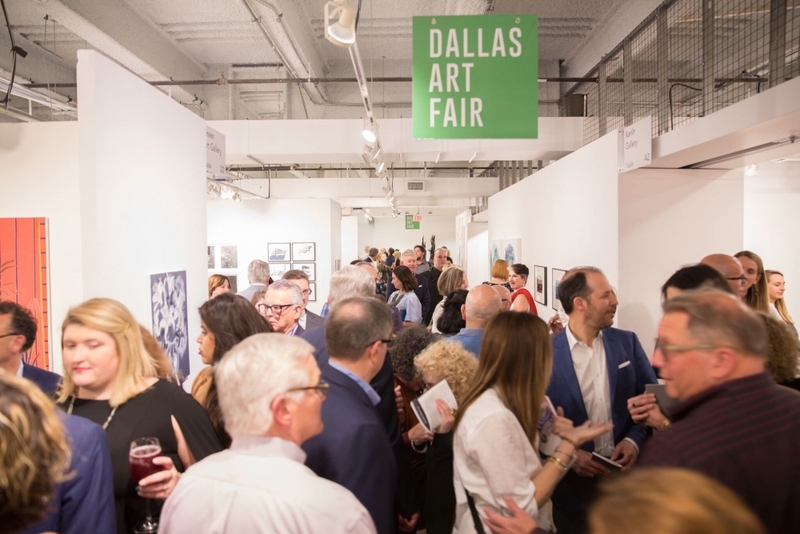 When the Dallas Art Fair began 10 years ago, it was a small blip on the global cultural radar, ambitious but overshadowed in the States by New York’s long-established fairs and the rapidly expanding Art Basel Miami Beach. But in the intervening decade, it has grown to become a showcase for more than 100 dealers, a catalyzing annual event for the Dallas art world, and a refreshingly rooted alternative to the international circuit of increasingly homogenous fairs. In 2008, Dallas had yet to embrace itself seriously as a trendsetting arts city. Local galleries were struggling to survive a harsh economic climate, and the only large-scale arts events were watered down craft fairs masquerading as arts festivals. It was an odd gamble to start a major art fair then, but proved to be the action needed to bring the city’s galleries and artists together under one banner. It soon began drawing a critical mass of international visitors and cemented a growing interest in contemporary art from the city’s collectors. The Dallas fair now anchors Dallas Arts Month, coinciding with the Dallas Film Festival and Soluna, a classical music and arts initiative. This year’s fair, a painting-heavy presentation that took place April 13-15 in downtown Dallas. It included booths from international names—Luhring Augustine, Marlborough, Kasmin, Perrotin—but even a decade after it began, it’s the homegrown galleries that make up the DNA of the DFA, and these 9 artists represent the best Texas talent last weekend had to offer. The Dallas dealer showed work by Timothy Harding, abstract paintings on bent and twisted canvases, alongside hollow, unsettling casts of bats, birds, and butterflies by Celia Eberle. Fort Worth native Kirk Hayes makes oil-based figurative paintings depicting everyday banalities—eating a peach, having a smoke—as absurdist victories. Hayes’s work usually employs a solid-colored background, resembling a Peanuts comic strip, but in the work that was on view at the fair, his figures appear more like peach-colored bobbleheads, staunch and without discernible features. Sedrick Huckaby is a Texas treasure. Also hailing from Fort Worth, Huckaby creates portraits of his friends, family, and larger community. They are textured, physical, and achingly detailed. In an age of police brutality and social inequity, these images of African-American subjects in confident and relaxed poses felt particularly relevant. Jeff Zilm is known for his “film paintings,” featuring colors lifted from the reels of his favorite films. Recently, he has expanded into inkjet prints on canvas created from corrupted image files. Michelle Rawlings also mines digital errors with her “glitch paintings” from the last few years, but her poetic installations—featuring magazine cut-outs, small sketches, and carefully culled imagery of female forms—took on a narrative dimension. Seventy-two-year-old Otis Jones has made his mark on Texas artists by serving as a mentor to a few generations of younger painters. 2018 has seen a renewed interest in his work overseas (he is currently represented by galleries in Zurich and Copenhagen), and this year’s fair provided an opportunity to revisit his stripped-down, spiritual style of painting. Dallas-based Erin Cluley showed mural-size acrylic works by Zeke Williams that explored different combinations of color and collage. His textures and palette zoom in on patterns found in nature and clothing fabrics. Dallas has been the adopted hometown of sculptor Erick Swenson since he graduated from the University of North Texas in the late ’90s. There’s a cheeky absurdism at play with Swenson’s work, and his decidedly dystopian worldview was on full display at the fair.